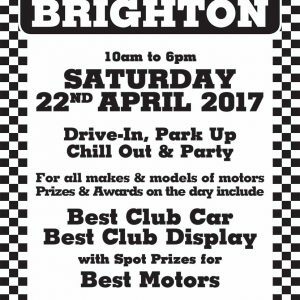 Calling all Petrolheads! 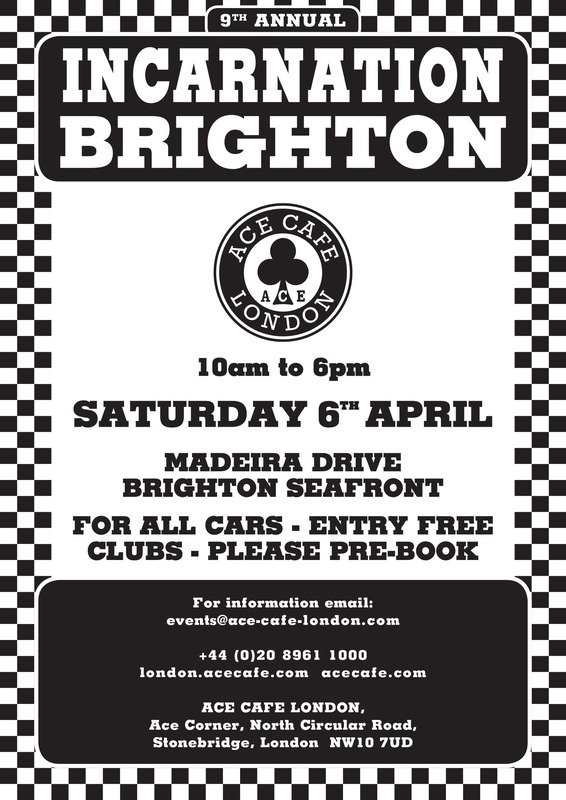 On Saturday 6th April 2019, from 10am – 6pm, Brighton’s famous seafront road, Madeira Drive will again host the UK’s finest on four wheels as Ace Cafe London present the 9th annual InCarNation Brighton. 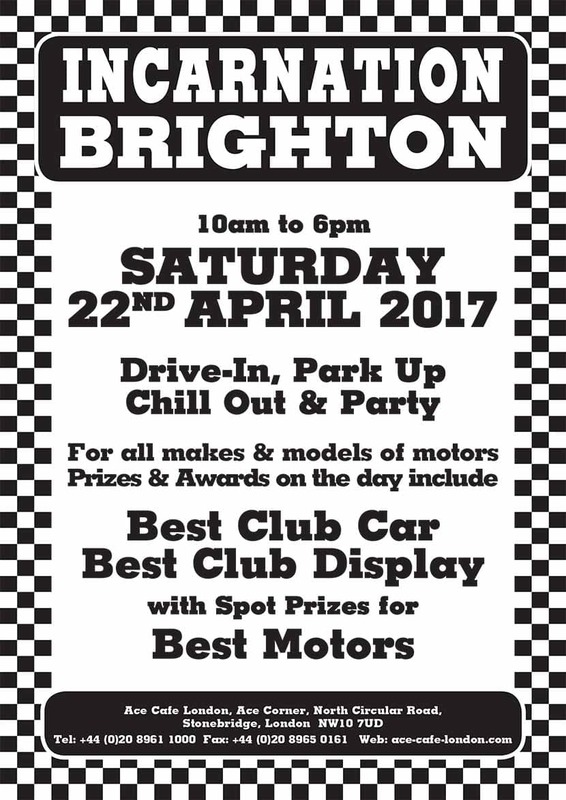 Conceived in 2011 following the popularity of the cafe’s regular monthly InCarNation Night, held at the Ace on the last Wednesday of every month, with racers, tuners, car clubs and motor fans from across the country enjoying their “wheels” and vying for space, InCarNation Brighton 2019 is a free to attend drive-in and display of vehicles, featuring the best that is performance and modified in the UK and which anyone with a car can enter. Focusing on the individuals who drive and their passions, and open to all motor fans and enthusiasts, from classic and street-tuned racers, through to hot exotic supercars, prizes and awards will be up for grabs on the day, to include for “Best Club Car” and “Best Club Display”, as well as spot prizes for “Best Motors”. 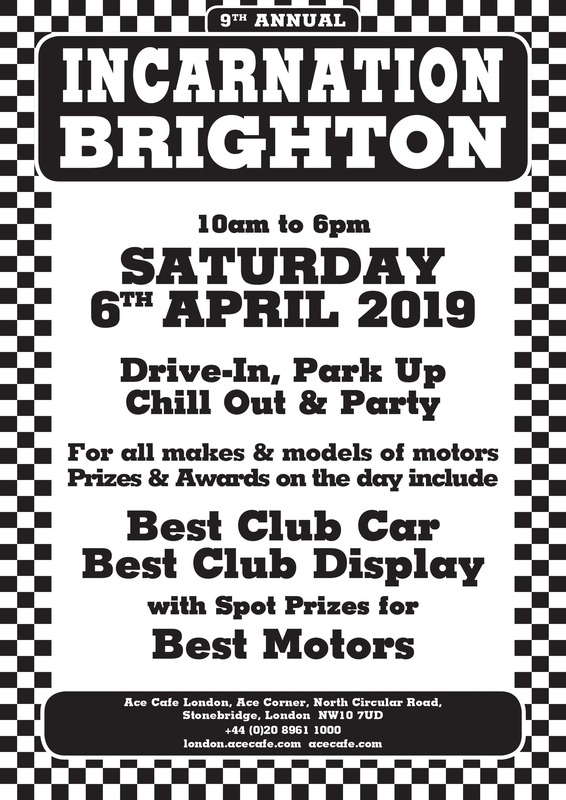 With interactive stands, displays and live entertainment on the Ace stage, if the roar of an Italian V10 engine is music to your ears, or a tyre shredding drifter gets your adrenalin pumping, make sure you don’t miss this unique seaside event – InCarNation Brighton 2019. Drive In, Park Up, Chill Out & Party!